The inauguration of the Chee-Chun Leung Cosmology Hall was also the occasion to introduce and host the Third LeCosPA Symposium, from Nov. 27 to 29, 2017. While the 2nd Symposium in December 2015 was discussing “Everything about Gravity” and celebrating the 100 years of Einstein’s theory of general relativity, this event was looking forward into its “Cosmic Prospects”. The topics addressed in plenary and parallel sessions covered many aspects of gravity, but gravitational waves played a special role since their first detection in Sept. 2015 (and announcement in January 2016), confirming predictions from relativity and announcing many new discoveries in the coming years. 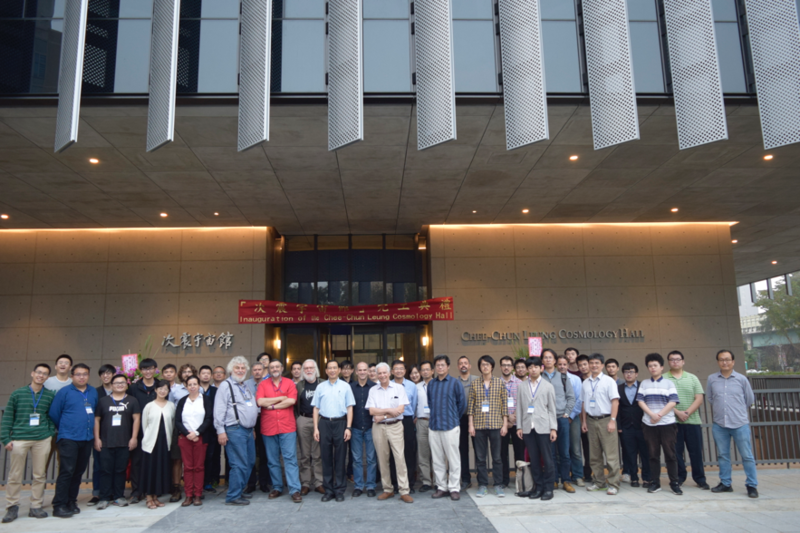 The symposium also covered many aspects of black hole physics, for which we now have a direct proof of the existence, and of quantum gravity who remains as a beautiful challenge for physicists. Other important topics for cosmology were discussed, including the nature of dark matter and dark energy, neutrinos, modified gravity and inflationary models. In addition to theoretical models and predictions, several talks drew a sketch of future observations and experiments. 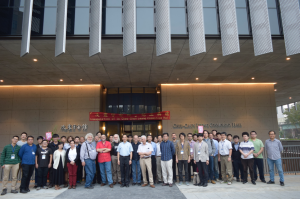 The symposium welcomed a hundred participants and was the occasion for many researchers to exchange their views on the recent discoveries in astrophysics, cosmology and particle physics. 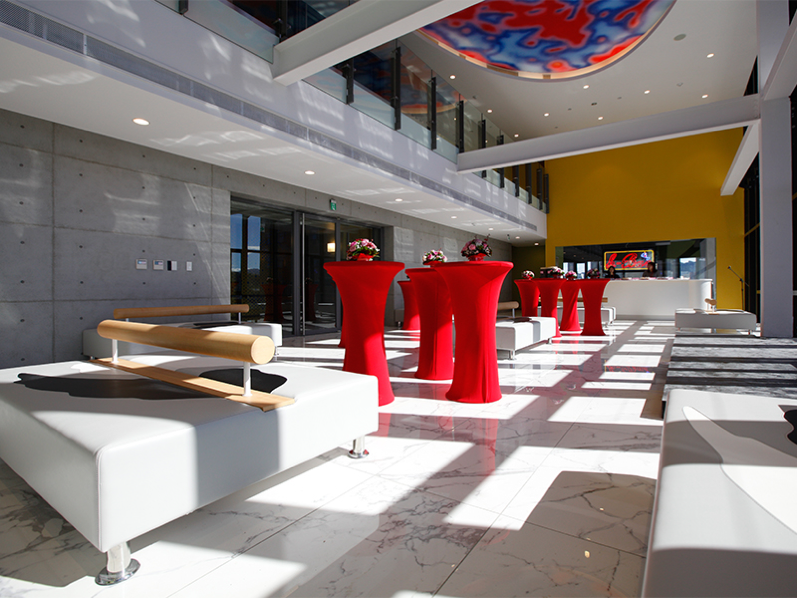 Coffee sessions were organized around the new LeCosPA h-Bar on the 7th floor of the Cosmology Hall, with the help of greatly devoted LeCosPA staff members and volunteers, and they were nice opportunities for starting collaborations and share new ideas. 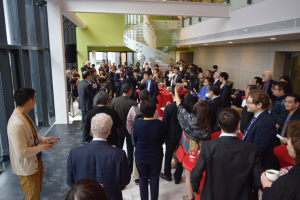 Finally, this symposium was also a family reunion for LeCosPA since many former fellows were present, including Prof. Keisuke Izumi (Nagoya University), Prof. Lance Labun (University of Texas), Prof. Yen Chin Ong (Yangzhou University), Prof. Fabio Scardigli (Politecnico di Milano & Institute Lorentz, Leiden), Prof. Debaprasad Maity (Indian Institute of Technology, Guwahati), Prof. TaoTao Qiu (Central China Normal University), and Dr. Frederico Arroja who recently departed from our center. The new building inauguration was a stepping stone for LeCosPA’s bright future and has called the attraction of many representatives and researchers from around the world. With the third symposium, the new hall has shown its purpose: to bring together people from different origins and give them a place to wonder about the nature of the Universe.